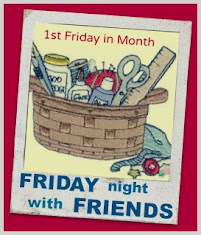 Sugarlane Designs: FNSI ….it’s got to be Friday SOMEWHERE in the world, right?! FNSI ….it’s got to be Friday SOMEWHERE in the world, right?! Ok…….pressure???? I began mine Friday night!!!!! When I saw the fabric, a brown/maroon/khaki/beige paisley design, I had very little idea of what to do with it…..but as I got to know it - stroked it and talked to it (c’mon….we all do that, right???? ), it sorta looked very Australiana to me……. The design was already drawn for another purpose, so Friday night was prepping the applique pieces, fusing them and starting the stitching…. ….and what better way to commemorate what our diggers did for us all those years ago…. ….these beauties…..fat quarters courtesy of Andrea of Hibiscus Stitches……go and visit and tell her how fabulous she is!!!!!! I love the patriotic design, my son was in the army (Discharged this year ) so I am drawn towards the military and honours to all they have done and continue to do for us. I love your design. Truly amazing. The fabric just sets the hat off. Great work. Fabulous design and posted on an appropriate day too. It is " Vietnam Veterns Day". Good thinking with the fabric Wendy. The design is gorgeous, and all the fabrics work well - it has taken on a very Australian feel. Oh Wendy this is gorgeous - you are so very talented!!! Super idea and the fabric works perfectly. It does look lovely. I love that - very creative - amazing what a deadline does - love the shading on the poppies...Hope you win! Oh my gosh, Wendy...that is BEAUTIFUL!!! Simply beautiful. I love the stitching....just perfect!! !